It's obvious thing to say that I really like Slackware Linux. Why? that's because of its stablity and simplicity. You know KISS? Keep It Simple Stupid!. You want to know Linux, learn Slackware. You want to get headache, you learn Slackware. :D . But once you master it, nothing beats it. 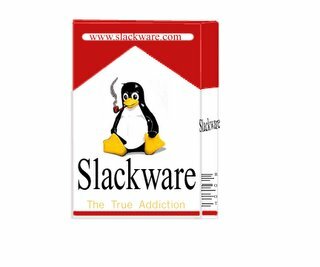 For rock-solid stability of Linux, I gotta switch to Slackware. Mandrake could not fit the requirement. It has something to do with apic thing that got conflict with power management feature. This results in a hanging server . The solution always to hard reboot (by pressing the reset button). Don't get me wrong. Mandrake is a good distribution too but sometimes it contains unnecessary bells and whistles. For some reasons, it fails to run properly on certain machines. To fix this problem (and after it gave me a lot of headaches and stomachache :P), I gave Slackware a go. Now after 3 days, I never notice a single hang and no slow whatsoever. This brings to happy users and the most important a happy system admin :-) . You can try access my webmail here.